Experience a taste of sophisticated charm and relaxed country living at the edge of this small rural town. Stay as part of your travel plans, and to explore the town and country feel of the surrounding historic area. 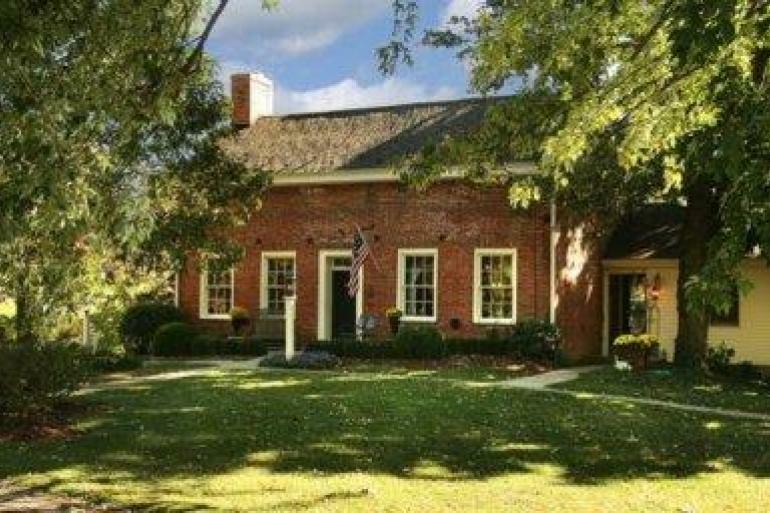 Choose between two masterfully restored early and mid-1800s buildings: the 1850s William Rouse log cabin and the 1830s Willis Graves Federal brick homestead. In every detail, from the luxurious whirlpool baths and steam showers to our full gourmet breakfast served on individual tables dressed in white linens, your comfort is our top priority. Our goal is to understand our guests and deliver a lasting impression that involves all five senses: the sight of unusual antiques and comfortable surroundings, the sound of soft music, the touch of plush towels, the smell of the freshly ironed sheets, and the memorable taste of homemade cookies on your pillow. From guest feedback, we know that these unique impressions keep our guests coming back time and time again. For leisure and business travelers, our accommodations go far beyond traditional hotel lodging. Details such as triple sheeting with luxury linens, down comforters, extra pillows, robes and towels, and fresh baked cookies are already in place when you arrive. For your convenience, guests may also enjoy wireless high-speed Internet, cable television and DVD players, and our comprehensive movie collection. This 290 acre park offers three fishing ponds that are regularly stocked with bluegill and catfish. It features wooded and open areas as well as wetlands, and a 6 miles of unpaved mountain bike trails. Explore 1.25 miles of unpaved walking and hiking trains, let the kids burn off steam on the playground, or reserve the shelter for a private event. The park has 122 wooded acres complete with an 1800s logging trail that ends near the creek. Traditional Southern cuisine served in elegant dining rooms in a circa-1822 building. Part of The B-Line. Click here to learn more.